Wrongful death claims are claims brought against people allegedly responsible for the death of another. It is not a criminal process to bring such a claim, but a civil process. Wrongful death claims allow the leftover estate of a deceased party recover funds to be used for funeral expenses, for surviving family members, etc. People bring wrongful death claims in a variety of cases, for instance, when someone is killed intentionally, when medical malpractice resulted in someone’s death, or when someone dies as a result of someone else’s negligence. But you may have a wrongful death claim even if your claim doesn’t fall into one of these categories. Contact an experienced wrongful death attorney to be sure. The South Carolina statute governing wrongful death claims says the following: “Whenever the death of a person shall be caused by the wrongful act, neglect or default of another and the act, neglect or default is such as would, if death had not ensued, have entitled the party injured to maintain an action and recover damages in respect thereof, the person who would have been liable, if death had not ensued, shall be liable to an action for damages, notwithstanding the death of the person injured, although the death shall have been caused under such circumstances as make the killing in law a felony. In the event of the death of the wrongdoer, such cause of action shall survive against his personal representative.” What does that mean? Basically, wrongful death claims are usually brought by a representative of the estate of the victim. Spouses may also bring actions for wrongful death, as well as parents on behalf of their children, and others on behalf of close relatives. 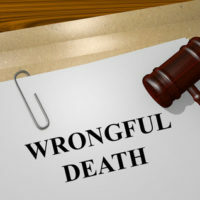 States divide on how closely related individuals must be, and whether or not they must have been relying on the estate, in order to be eligible to bring a wrongful death claim. How Is Fault Proven in a Wrongful Death Claim? Like many civil cases, negligence or some other state of mind must be proven. In a negligence case, the individual must prove that the defendant had a duty to the decedent, that he or she breached that duty, that the breach of the duty caused the death of the decedent and that the claimant suffered harm as a result of the death of the decedent. An attorney can further explain the requirements of proof in wrongful death claims to you. What Damages Are Awarded in Wrongful Death Cases? Damages are awarded to the decedent’s beneficiaries. These beneficiaries are relatives for whom the decedent provided financial support, and may include spouses, children, etc. Damages can include the medical costs that the decedent incurred before his or her death, the loss of the decedent’s income, loss of care, the value of services, and a loss of guidance and nurturing, aside from simply the costs of the burial and funeral expenses. Punitive damages, damages that go beyond simply compensating the victim and actually are used to punish the party responsible, are also possible in some cases. If you believe you may have a wrongful death claim, contact The Stanley Law Group. The Columbia wrongful death lawyers at The Stanley Law Group are experienced with wrongful death claims and can help you get the award you deserve and need. Call 803-799-4700 and set up a consultation today.